Another little luxury moment popped up in my schedule the other evening for a soirée of discovery at the gorgeous Hotel Montalembert. 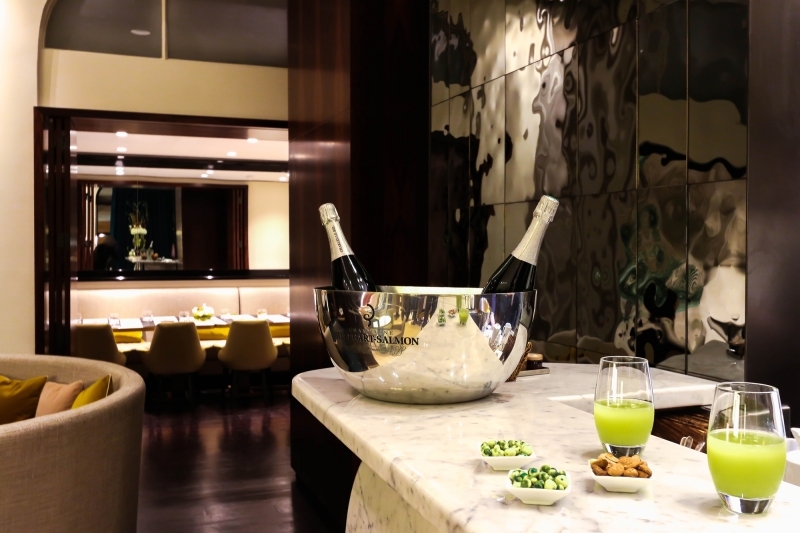 It was recently renovated and redecorated and doted with a new menu. 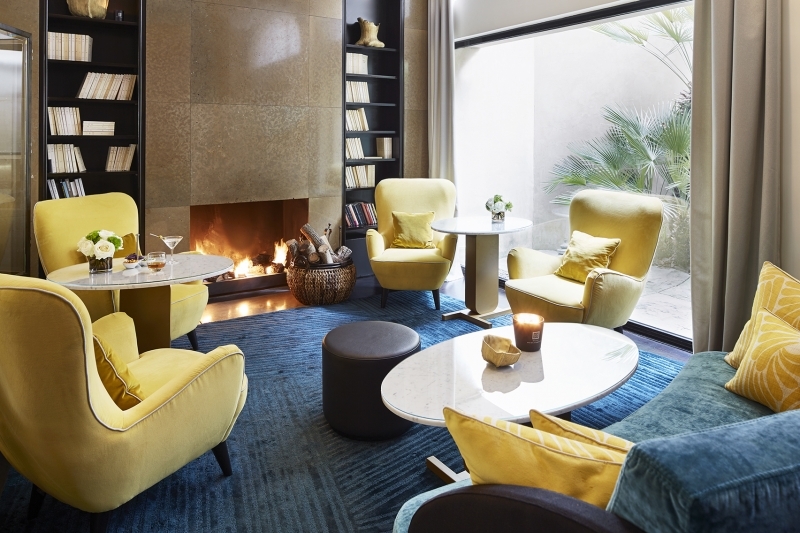 Pascal Allaman is the signature of this Bessé Signature hotel, the small group of boutique luxury hotels owned by Anne Jousse. What pleases me the most about this charming and cozy luxury hotel is the fact that the owner is so involved in the renovation of this 5 star jewel, that she designed one of the suites herself! And the best part is that this hotel makes you feel right at home. The lobby was designed by Géraldine Prieur, and is does more than make you want to sit down, it invites you to stay a while with the velvet furniture and soft cozy tones. From the cozy library corner with a fireplace to the charming dining area, and let’s not forget the terribly enticing rooms, you can feel at home in Paris when you stay here. A friend of mine recently told me something that I feel is worth quoting, she said that the headache of owning properties wasn’t worth the luxury and that she had always « aspired to living in hotels ». Well you honestly could in this one! In fact, someone famous does, although I can’t tell you who, she is an artist known quite well by a very renowned french luxury brand. 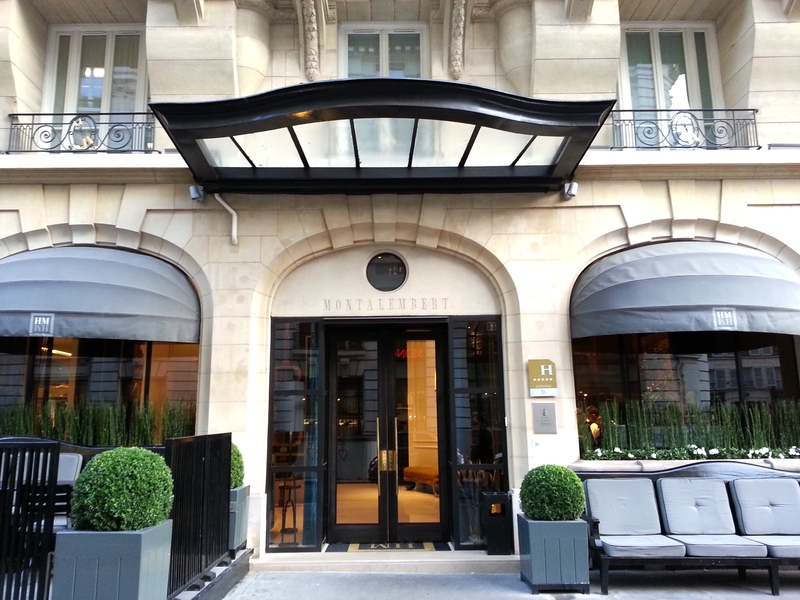 We were invited to the Hotel Montalembert to test their new menu and visit a couple of these sumptuous rooms, one of which was a suite that had me thinking what a perfect place to spend your Fall or Winter vacation in. A lovely detail that made a substantial difference in the decorum is that the flat screens are all framed as if they were an elegant and modern picture. (If I ever break down and buy a TV, that’s what I will install). 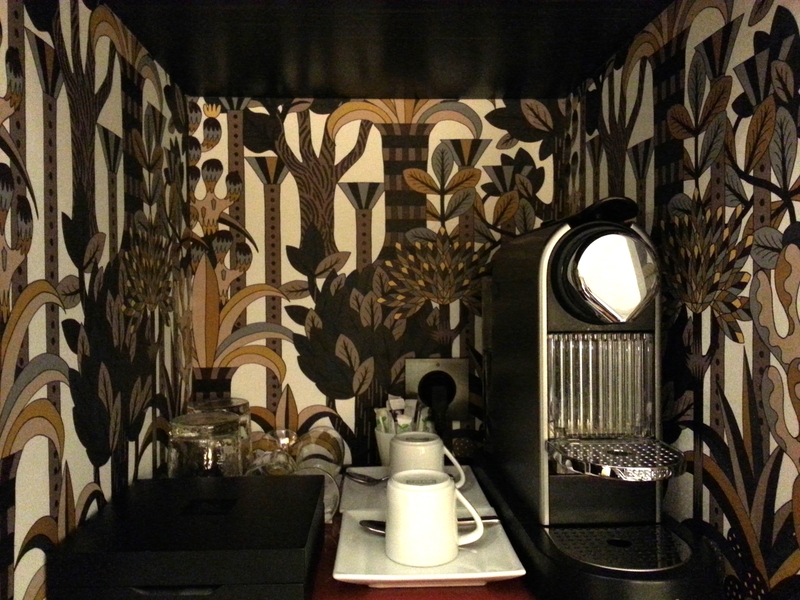 I was also delighted to see that the coffee corner in the rooms were lined with gorgeous Hermès wall paper. 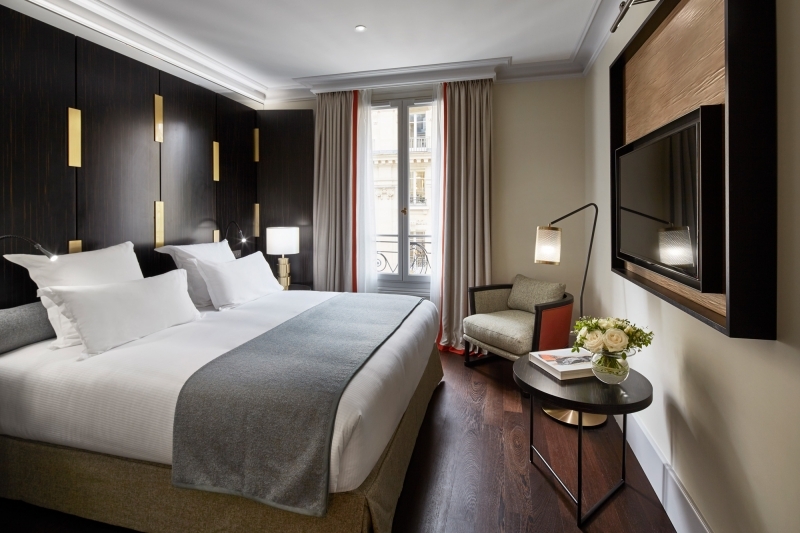 And with the suite’s double shower and tub, spacious bedroom and darling living room with an adjustable table and comfortable arm chairs, I can only imagine happy sighs of content upon diving into this Paris haven. 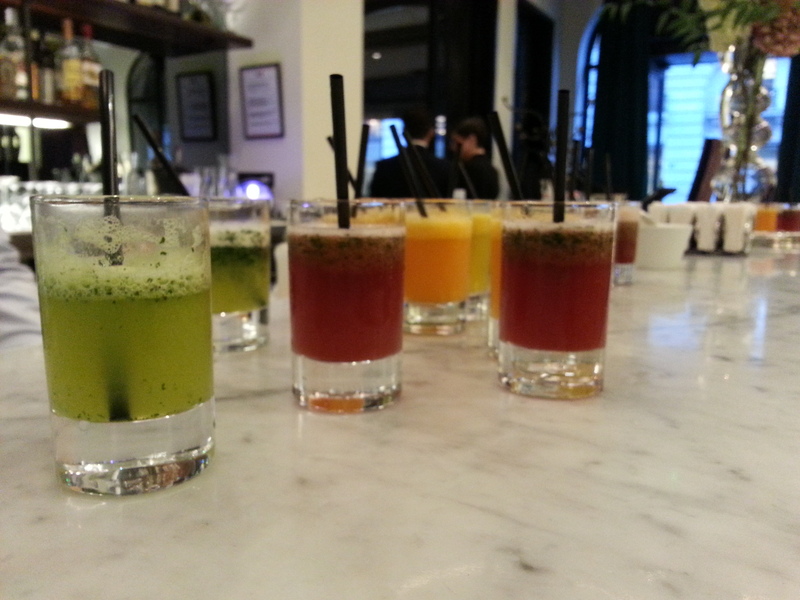 After testing their fresh pressed fruit and vegetable cocktails (virgin and spiked!) we were served an extensive suite of little hors d’oeuvres that were all more delicious than the other. I especially enjoyed the tiny cup of mushroom cream soup, a perfect Fall treat. Then there was also the crusty crunchy salted caramel delight on the dessert menu…I had more than one. 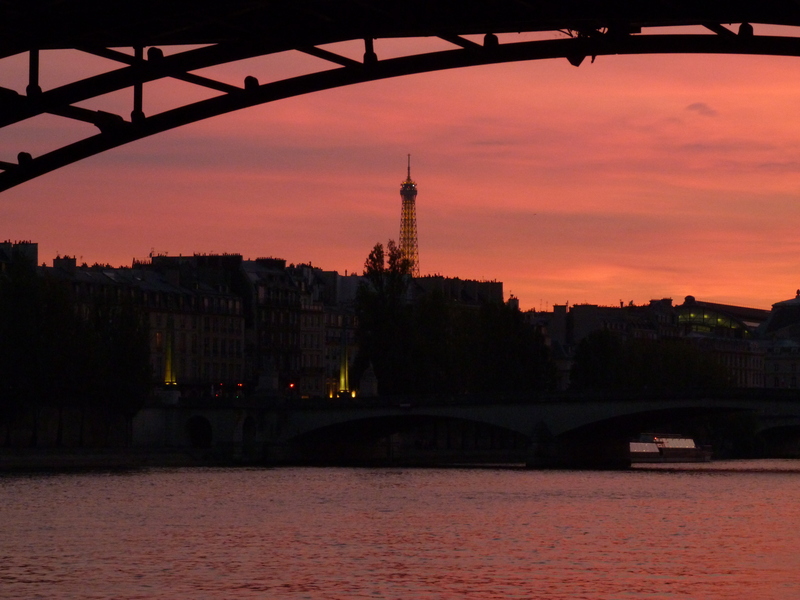 I hope some of you try them out on your next trip to Paris, or for those of you who live here, take advantage of the lovely atmosphere for the duration of a dinner. You’ll feel pampered either way! ← Le Bijou Parisien – For the Paris Obsessed! Just lovely and chicly modern.